A new July ruling by the Arizona Supreme Court says that criminal defendants who voluntarily undergo a mental health examination after claiming an insanity defense must provide the results of this examination to the prosecution in their case. This ruling came down to address the question of whether or not providing such results would go against Fifth Amendment rights against self-incrimination. In addition, the court unanimously ruled that forcing a defendant to hand over results of their mental health examination would not violate their right not to self-incriminate because “defendants claiming an insanity defense have waived their protection against self-incrimination.” Mental health examinations are considered voluntary if they are not ordered by the court. In Arizona, a defendant cannot be found not guilty simply because they make a plea of insanity. 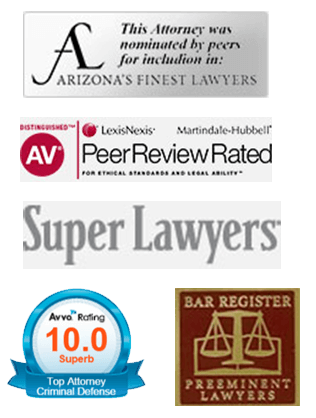 In 1995, the Arizona Supreme Court ruled that “Arizona does not allow evidence of a defendant's mental disorder short of insanity to negate the mens rea elements of a crime.” The mens rea element refers to the defendant's mental state at the time of the crime which caused them to commit wrongdoing. If the defendant makes the plea that they are guilty except insane, he or she will usually be sent to a state mental health facility for up to 30 days for an evaluation by a licensed professional with knowledge about state statutes and mental illnesses. The facility will then submit a report on the defendant's mental health to the court to be used in sentencing. If the defendant is found guilty except insane, they will be sentenced to a combination of time at a prison and a state hospital, depending on the particular scenario.